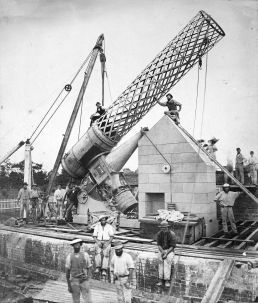 Built in 1868 by Thomas Grubb in Ireland, the Great Melbourne Telescope was the second largest operating telescope in the world. 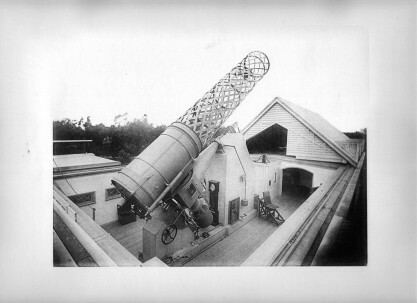 Designed to to explore the nebulae visible from the southern hemisphere, its home was the observatory at Melbourne Botanical Gardens until closure in 1945. Great Melbourne Telescope. Probably taken 1890s or early 1900s, published in The Australasian newspaper in 1919. Courtesy of Museum Victoria. 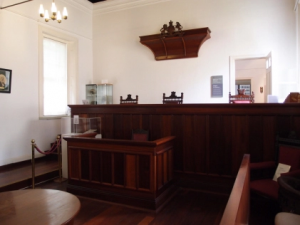 The old court house in the middle of Stirling Gardens in Perth is the city’s oldest surviving public building. It was built in 1836 and as well as a law court it was a place of worship, a school, a concert hall and the site of public meetings. Flinders Street Station is an iconic hub of activity in Melbourne, with more than 100,000 people passing through every day. But there’s a side to the station that lies mostly forgotten which few people see – a grand ballroom, long since neglected, now decaying and falling to pieces. There’s two distinct ends to Flinders Street Station in Melbourne. 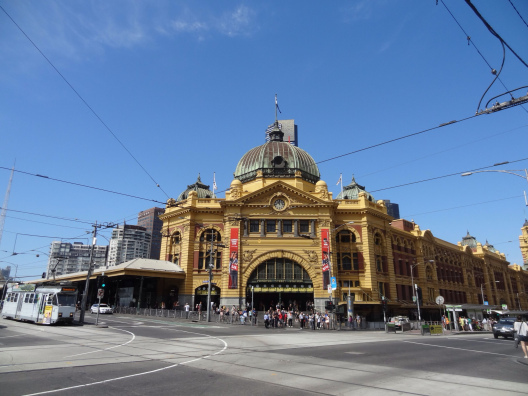 There’s the part on Swanston Street that everyone knows – commuters pass beneath the impressive dome, it’s the feature of Melbourne photographs and postcards, the activity of trains, and the meeting place ‘under the clocks’. Apart from this the station stretches for two city blocks, away from Swanston Street and past Elizabeth Street. Away from the activity, it gets a lot less attention. Now mostly derelict, this end of the station was home to the Victorian Railway Institute. When the station building was complete in 1909 there was much more focus on employee welfare, public programs and a sense of community. The Institute housed bakers and childcare crèches, a gym, a library, and most notably, a ballroom. There was even an unofficial running track on the roof of the building – four laps was roughly equal to a mile, at least before the eventual installation of air-conditioners. 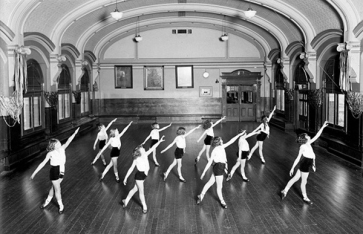 The ballroom in particular became a hub the Melbourne social scene. 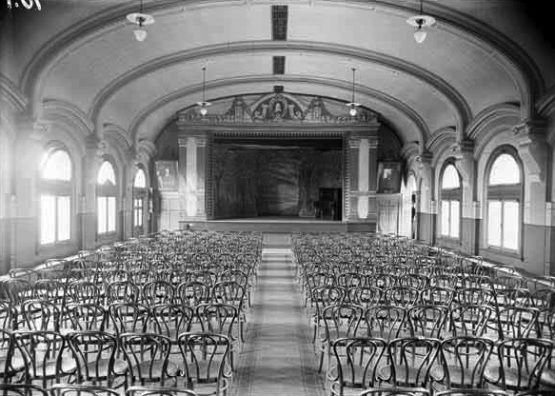 Originally a lecture hall and at one point a movie cinema, it found its true calling as a ballroom where events such as ballroom dancing, performances and concerts were held. The design changed in later times – a mezzanine bandstand was added in the 1950s as the balls became so popular, there wasn’t room on the floor to accommodate the band. Events would also end at midnight, to ensure everyone made it on the last train in time to get home. 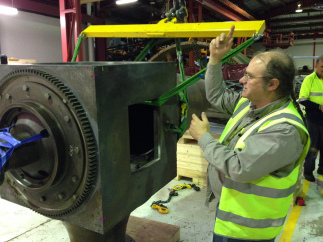 When the 1980s rolled by the Victorian Railways Institute was in desperate needs of repairs and upgrades, but lacked the funds. They moved to new premises, and the southern end of Flinders Street Station, containing the ballroom, the gym, the library, were shut behind a metal gate and allowed to decay. 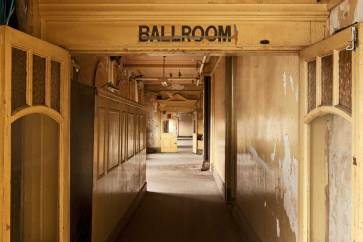 Those few who are allowed inside the ballroom aren’t permitted to stray near the walls due to falling masonry, and the edges of the room are cordoned off by a barricade cobbled from vintage music stands. 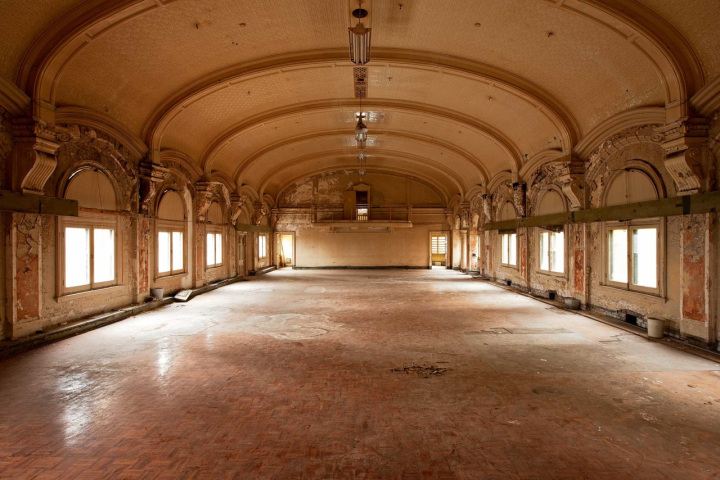 Under the proposed redevelopment the Flinders Street Station Ballroom is to be restored. If and when that happens, the grand old space might see a second life yet. Recent archaeological digs at Pentridge Prison in Melbourne have uncovered three airing yards built in the design of a panopticon. Based on original concepts by Jeremy Bentham, the airing yard design allowed a single guard in the middle tower to keep an eye on each prisoner while they had fresh air for one hour a day. On the top of a hill in Coburg, near Melbourne, there is a large bluestone building which, at a glance, looks like it could be a medieval castle. The outer walls reach high into the sky and there are turrets on the corners. Yet these walls are not trying to keep the enemy out, but the prisoners in. This is Pentridge Prison, nicknamed ‘the bluestone college’. It was built in 1858 when the city was still young. Melbourne had seen rapid growth as people surged landwards towards the goldfields, and experienced all the social problems that go along with it. Old Melbourne Gaol and the prison hulks anchored off Williamstown were no longer coping with the prison population, and Pentridge Prison was built a suitable distance away at the time, but visually impressive to act as a deterrent. The prison blocks of A Division and B Division operated along the guidelines of the separate system – a prisoner was kept in isolation in a small cell for twenty-three hours a day, during which they could contemplate their crimes and read the bible. Besides a weekly shower and shave, the only reprieve from the cell confinement was one hour a day in the airing yards. There were three airing yards at Pentridge Prison, built in the form of the panopticon designed by English philosopher and social theorist Jeremy Bentham. The structure is in the shape of a wagon wheel, with a guard tower in the centre who can monitor eight prisoners, each in their separate segment. The panopticon was based on the idea that each prisoner was unsure whether they were being watched and would therefore always behave as if they were. Bentham saw potential in the design being used in hospitals, schools, sanatoriums, daycares, and asylums, but he primarily developed it for use in prisons. At Pentridge Prison, panopticons were effective in enforcing the separate system. 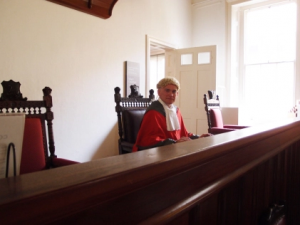 A prisoner was covered in a mask and cowl (called a ‘peak’) and led out to the airing yard. Here, they were allowed to walk for an hour, open to the elements, before being led back to the cells. 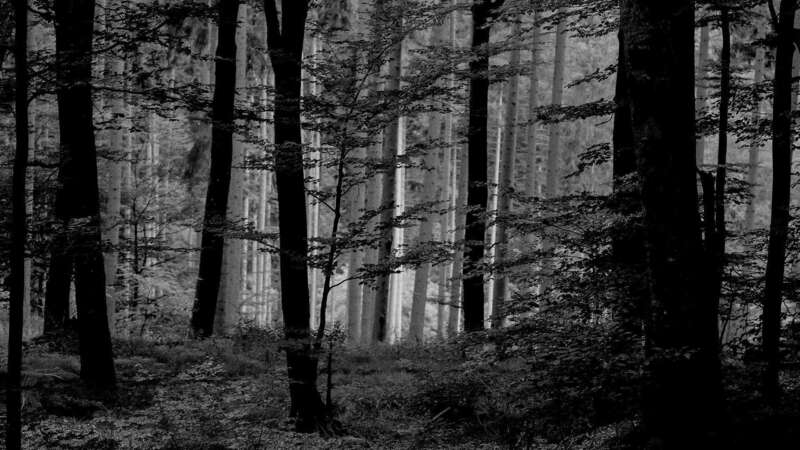 This gave them the benefit of fresh air and exercise, but kept them confined and isolated. Prisoners spent a month for every year of their sentence in this fashion, the idea being to break their spirits quickly. The airing yards fell out of use over time, primarily due to prison overcrowding. 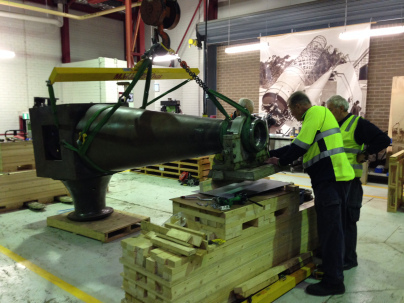 The last time they were in use was the early 1900s. They were eventually demolished as the prison was modernised, and Pentridge Prison was eventually closed in 1997.